Birchbox Fundraising Manithon for Coppafeel! Heads up if you like a well polished hand! I’ve been told about a fab event happening next weekend, sponsored by Birchbox, the brilliant beauty box subscription service! The Birchbox Manithon will take place next week – Friday, 29th of August 2014, 10am-7:30pm in Soho Square in London. Question, what’s a Mani-thon?! Simple really! The event will see 20 manicure stations set up in Soho Square with a team of therapists offering express manicures to the public. In partnership with Models Own nail polish, spaces can be pre-booked and the manicure fee (suggested £5 per person) will all be donated directly to CoppaFeel! 1 in 8 women will experience breast cancer in their lifetime and checking yourself is vital for early detection. As if you needed MORE convincing – visitors to the Birchbox CoppaFeel! Manithon later this month will all receive a FREE Birchbox tote bag, with a choice of three luxury beauty samples from a choice of 10 best-selling brands. Oh yeah, AND an exclusive Birchbox scarf AND an exclusive subscription offer. Phew. Plus, if you get hungry, drinks and snacks throughout the day will be provided by VitaCoco and Propercorn. For those of you outside of London or otherwise engaged (it is wedding season after all), if you can’t make the event you can still get involved by purchasing a LTD Edition T-shirt designed for the event by fashion illustrator Sally Faye Cotterill. 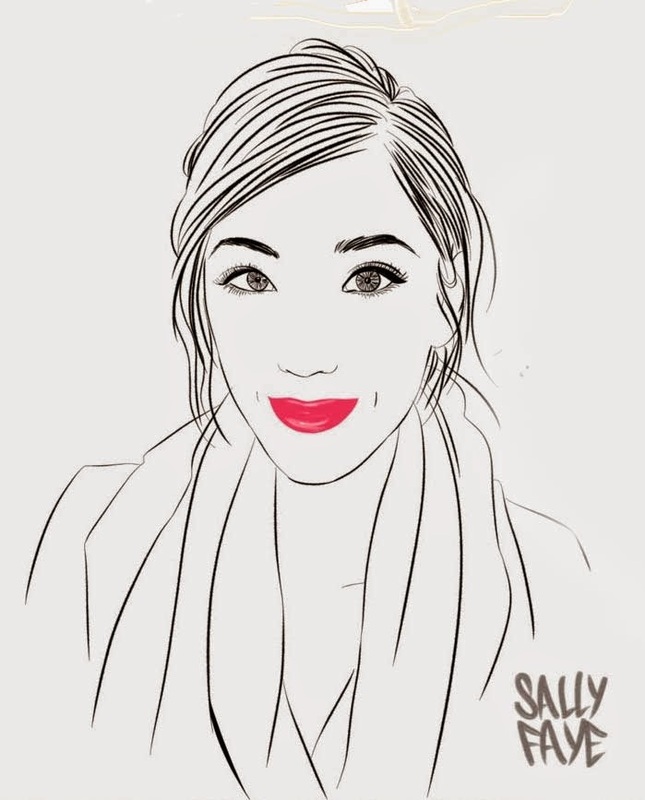 I love Sally’s work – here’s the illustration she did of me! And here’s the Fundraising T-Shirt modelled by Sarah Jane Crawford – the X Factor’s new Caroline Flack, presenter ad radio DJ! Finally, a big deserved shout out should go to CoppaFeel! I feel really strongly about raising awareness of how to check yourself – it takes less than 5 minutes. Will you be attending the Birchbox Manithon?! My 50% Off Models Own Nail Polish Haul! Nails Inc Lucky Dip is back! 7 Mystery Nail Polishes – what did I get? Cheaper Shellac With DIY Fuse Gelnamel Nail Kit! Previous Post The Amazing Concealer from Amazing Cosmetics! Next Post Help Please! Make My LFW Dream Come True With Just One Click.